Police have arrested four young men after they allegedly plotted a terror attack on a predominantly Muslim community in upstate New York. 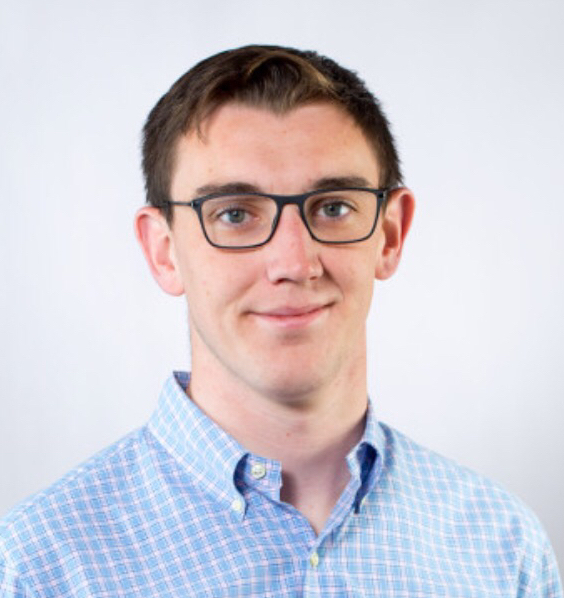 Brian Colaneri, 20, Vincent Vetromile, 19, Andrew Crysel, 18, and a 16-year-old suspect whose identity is being withheld, were arrested Friday by local police. 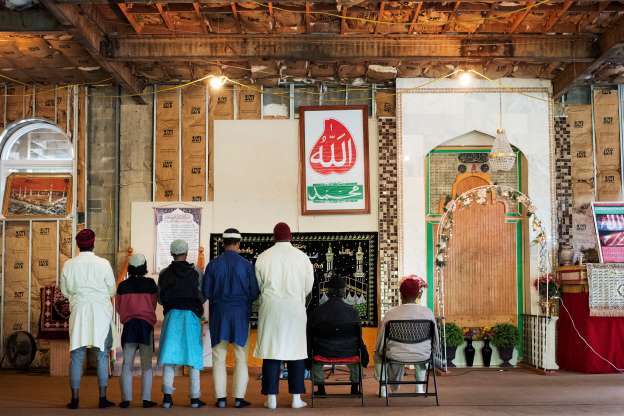 Authorities said on Tuesday the suspects were targeting Islamberg, a small, rural town that’s home to several hundred Muslims and has been the target of prior far-right terror plots that were stymied by police in recent years. “If they had carried out this plot, which every indication is that they were going to, people would’ve died,” said Patrick Phelan, chief of police in the town of Greece where the suspects were arrested. The investigation was initiated after classmates of the 16-year-old suspect tipped off authorities. Three of the suspects arrested for allegedly plotting to attack Islamberg, New York. Photo: Greece Police Department. Officials also said the young men knew each other from their time in the Boy Scouts. Police seized 23 rifles and shotguns and three explosive devices as part of their investigation. “We found firearms in almost every location that we searched and once again the bombs were all in one location. That was the home of the 16-year-old,” Phelan said. In 2015, Robert Doggart, a former congressional candidate from Tennessee, was arrested on charges of plotting to attack Islamberg. “I don’t want to have to kill children, but there’s always collateral damage,” Doggart said on one recorded call. Doggart, who was reportedly a member of multiple right-wing militia groups, was ultimately convicted and sentenced to 20 years in prison. The threats against Islamberg from far-right extremists are not isolated incidents. 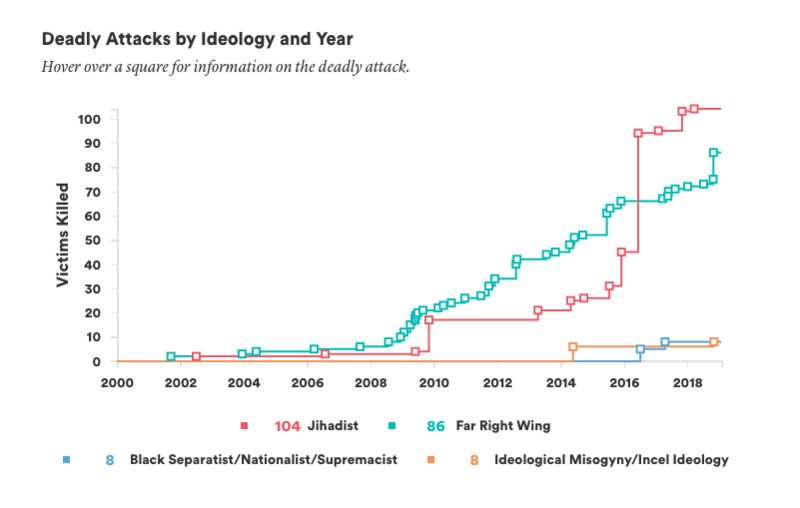 Data from New America shows there have been roughly 40 terrorist attacks committed by right-wing extremists since 2001, resulting in the deaths of 86 people. Though New America’s data shows more people have been killed in jihadists related attacks, the total number of far-right attacks committed by almost exclusively by white men significantly exceeds those committed in the name of Islam. In October 2018, a man named Robert Bowers killed 11 people after opening fire in Pittsburgh synagogue. Bowers had a history of antisemitism and was a member of an alt-right online messaging group. Other infamous cases of far-right terror include the 2015 Charleston church shooting in which Dylan Roof killed nine black worshipers in an apparent effort to “start a race war,” and the killing of Heather Hayer in Charlottesville, Virginia, when she was run down by a neo-Nazi who plowed his car into a crowd of counterprotesters. The Southern Poverty Law Center has complied an exhaustive list of far-right terror plots and attacks dating back to the 1970s that can be found here. Ahead of the 2018 midterm elections, President Donald Trump ramped up his anti-immigration rhetoric. His fixation on the non-existent threat of migrant crime has shifted the focus from the actual growing threat of far-right extremism. In the 2018 federal budget, Trump cut funding to organizations aimed at fighting far-right radical groups such as white supremacists, neo-Nazis, and the KKK. One group in particular, Life After Hate, which helps members of these groups get out, lost $400,000 in funds. A New Great Age of Space Exploration?